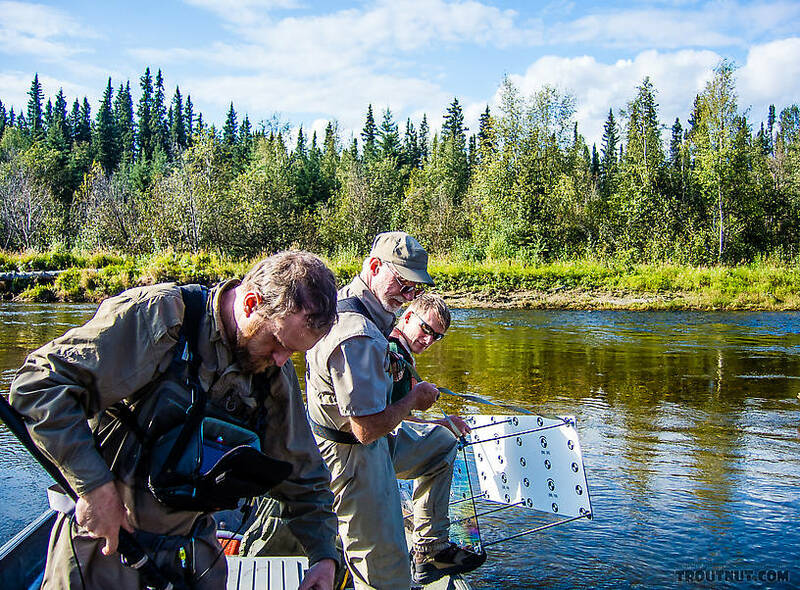 Today was �Take-Your-Dads-To-Work� Day for Jason, as both Markus Vayndorf (Jason�s father-in-law) and I accompanied Jason on a day trip to the Chena River a few miles northeast of Fairbanks. We were accompanied by U.S. 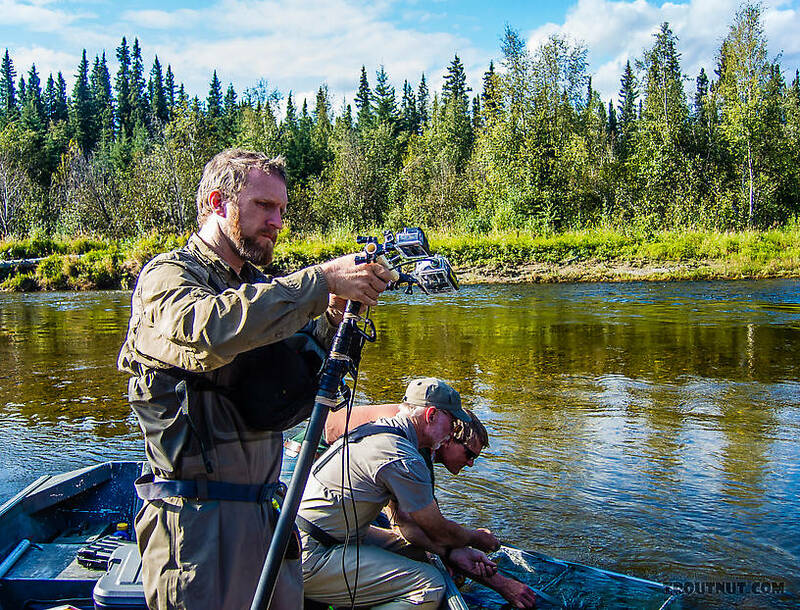 Fish and Wildlife Service Biologist Bill Carter, who hoped to learn enough about Jason�s underwater video techniques to employ them this fall in a study of sheefish on the Selawik River in remote northwestern Alaska. 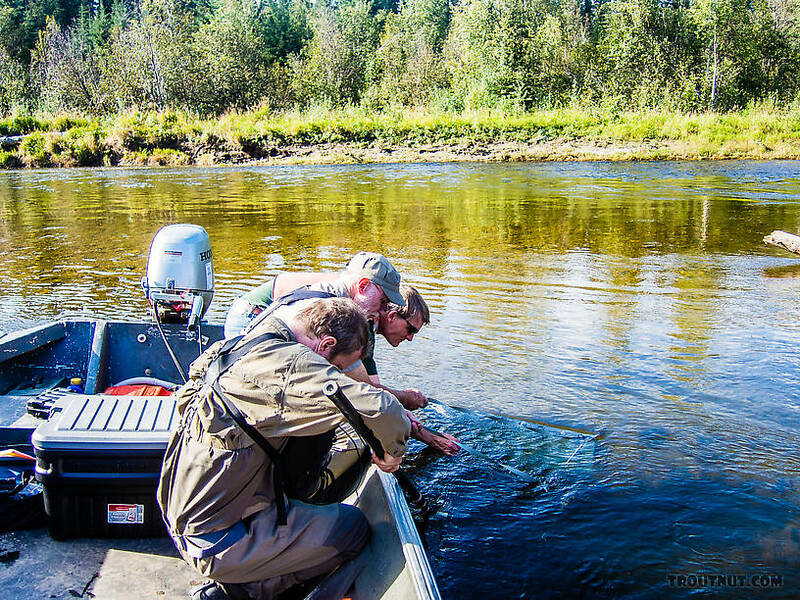 We launched our borrowed 18-foot Jon boat off a gravel bar in the Chena River around noon and motored downstream about a mile to a large logjam where Jason had filmed juvenile Chinook salmon during his dissertation project. The salmon fry were not in typical locations, but I finally located a small group on the back side of the logjam. 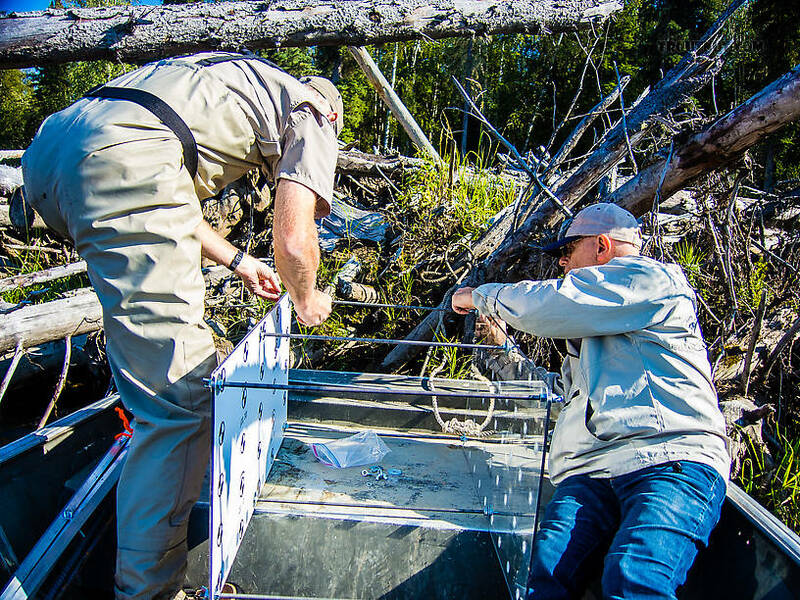 Markus (right) and I (left) assembled the calibration frame in the bow; then Jason readied the Go-Pro camera array as Bill (in stern) and I lowered the calibration frame into the water. Eventually we were able to obtain some underwater video while observing the juvenile salmon with a remote monitor onboard (some of Jason�s new gadgetry). Bill learned what he needed to know. Coincidentally, Bill and his wife had attended Northland College in Ashland, Wisconsin in the late 1980s�a decade after my wife, Sandy, and I graduated from there. I enjoyed visiting with Bill about our common beginnings in the field of fisheries.